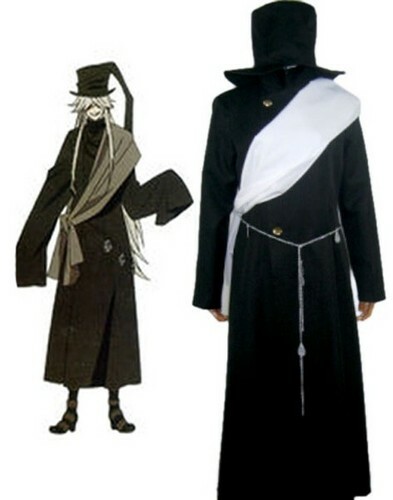 Black Butler Kuroshitsuji Grim Reapers Undertaker Uniform Cosplay Costume. . Wallpaper and background images in the Ciel Phantomhive club tagged: photo cosplay cosplay costumes black butler black butler cosplay costumes ciel cosplay costume kuroshitsuji ciel phantomhive kuroshitsuji cosplay costumes ciel phantomhive cosplay. This Ciel Phantomhive photo might contain surcoat.